London is a 24-hour city. No matter what time it is, there’s always something exciting to keep you entertained and out of trouble. Looking for the best things to do in London at night? 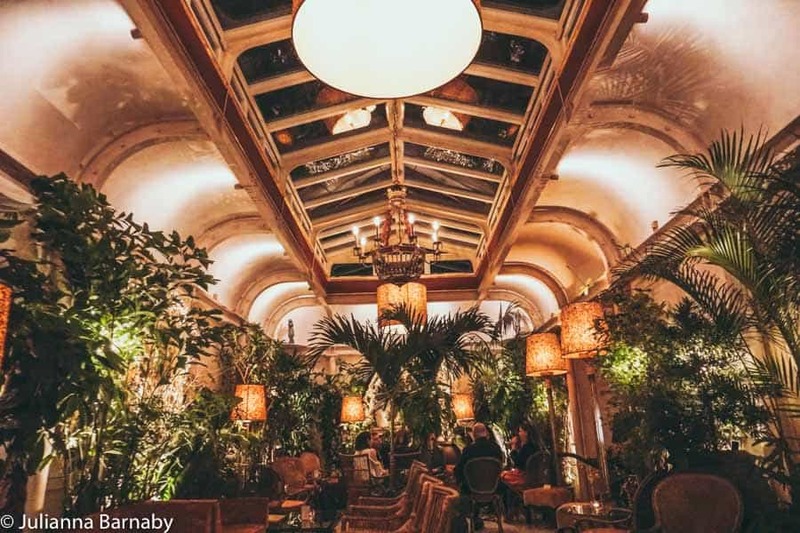 Don’t miss this insider’s guide to exploring the city after dark. I never used to think of London as a nighttime city… until I started travelling. Nothing like spending time away from your hometown to force you to see things in a new perspective right? It never ceases to amaze me how often what looks like a perfectly normal and bustling city during the day can turn into some apocalyptic wasteland as the night falls. Not so with London. Sure, there are plenty of cool things to do during the day, but it really shines at night. Whether you’re up for a massive all-night rave or a genteel night at the theatre, London has your back. These are the ones that you shouldn’t miss. 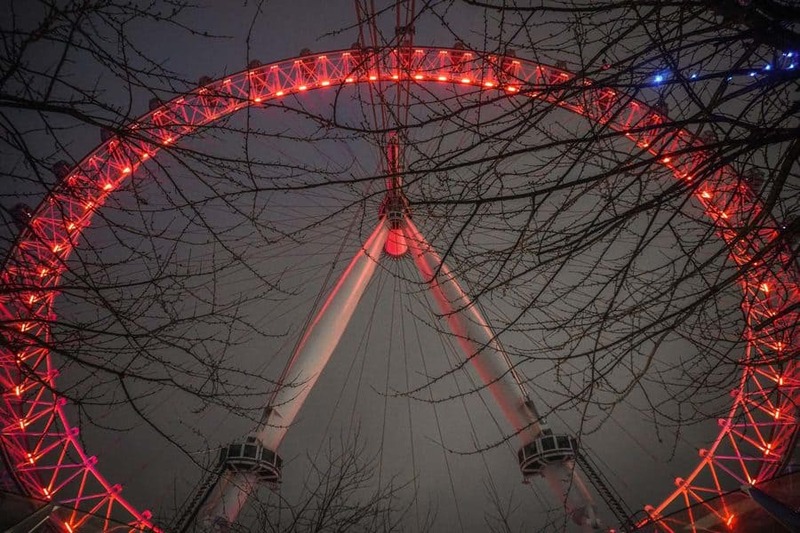 It’s one of London’s most famous attractions, and the London Eye is even better at night. Take it from me, I used to work there in the heady old days of my teenage years. Take the night flight around the big wheel, and look out over the lights of London, spotting famous icons like the Shard and Tower Bridge as they’re illuminated. Cheesy? A bit. Amazing. Hell yes. Book ahead to skip the queue. Just because the sun has gone down doesn’t mean you need to stop shopping – there are many stores in London that stay open well after dark. For example, Oxford Street stays open until 9pm on weekdays (although the experience may very well leave you scarred for life). You’re much better hunting out smaller shopping spots. Brixton Night Market is open until about 11pm during summer and shops like Rough Trade (for music) and Reign Wear (vintage clothing) open late throughout the year. There’s no doubt that museums are some of London’s best daytime activities, but did you know they’re also some of the best London night attractions? Museums all over London regularly hold “lates” – workshops, events or lectures on a wide variety of topics. 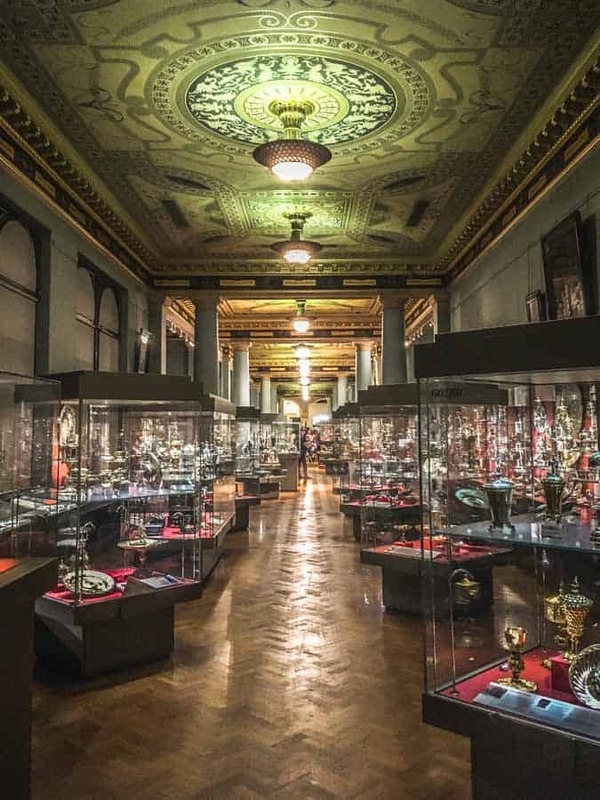 My favourites are the eclectic events at the Victoria & Albert and the Science Museum, as well as the monthly late-opening of the Sir John Soane’s Museum when they light the whole museum by candlelight. London has so much history that sometimes a tour is the best way to uncover it. This is true not just of London by day but also after dark – by night, there are even more tales to tell. 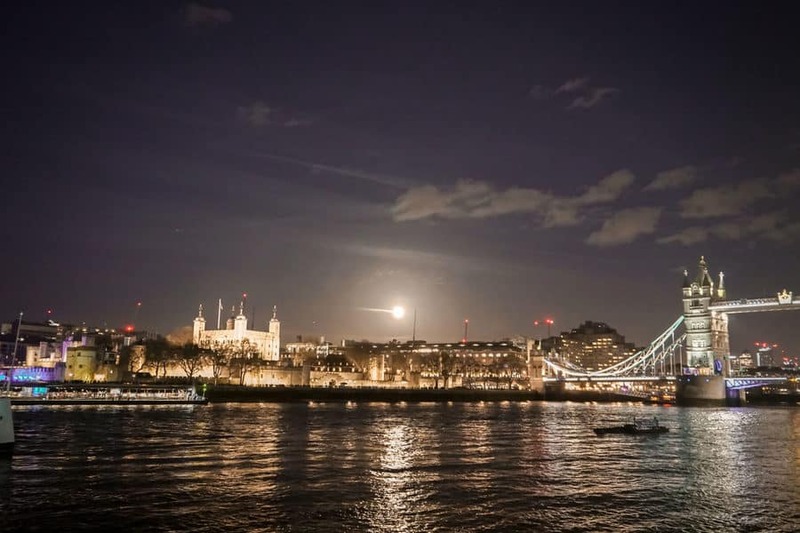 Many of the night tours of London focus on the darker side of the city’s past; think ghosts and murderers and ladies of the night – they’re fun things to do in London at night… but they can also be just the tiniest bit terrifying. You haven’t lived until you’ve done a creepy Jack the Ripper tour. Just be prepared not to sleep for a couple of nights. Check it out. The Tower of London is one of the city’s most famous landmarks – a royal palace that has also doubled up as a prison and an informal zoo in times past. Wondering what to do in London at night? How about seeing a ceremony that has been going for over 700 years? The Ceremony of the Keys has been performed before the doors are locked at the Tower of London for over 700 years. Even to this day, the ritual is still exactly as it was back in the 1400s. Tickets are free but you have to book them in advance. Just be sure to get your tickets well ahead (at least a few days, preferably a few weeks) as it books up extremely quickly. The Thames is the lifeblood of the city. Even now, after walking along it countless times, taking a boat cruise is one of my favourite ways to see the city from a different perspective. The sight of sunset as you glide down the river on a boat cruise, picking out landmarks such as Tower Bridge, the Scoop, Parliament and the Tate Modern is enough to bring any cold, dead heart to life. There are a few different types of riverboat cruises available, but I must say I’m a particular fan of those that include a glass of bubbles. Because we absolutely deserve it. Book your space. The stunning Kew Gardens, with its world-famous conservatories, is the largest botanic garden in the world. You’d think that the daytime would be the only time to see the dazzling variety of plants. Nope. A different way to experience the UNESCO World Heritage site is at the “lates” evenings, where there are talks and workshops on all kinds of topics. Check the website for booking details, as most have an admission cost. London can sometimes feel like it’s out to burn a hole in our pockets – but we’re too canny for that. Don’t miss these free things to do in London at night for all of the fun without any of the crippling cost. Yes, the Thames again. Beautiful as it is taking a boat cruise down the river, I’ll let you in on a little secret… you can walk along it for free. OK, maybe that’s not such a secret at all. 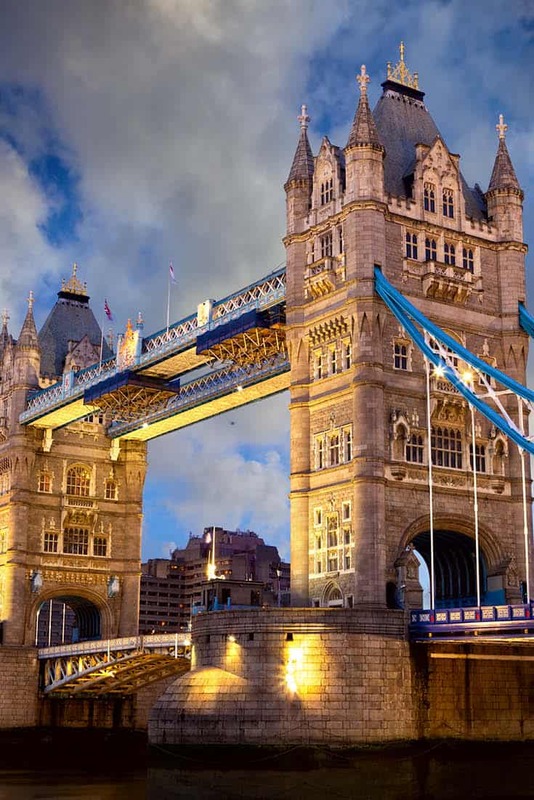 Start at Tower Bridge and wind your way upriver (I’d recommend sticking to the South Bank as it’s a nicer walk) – if you make it up to Lambeth Bridge you will see all of the biggest riverside landmarks along the way. Speaking of which, the South Bank is often described as the city’s cultural heartland, thanks to the many great restaurants, theatres, bars and more. 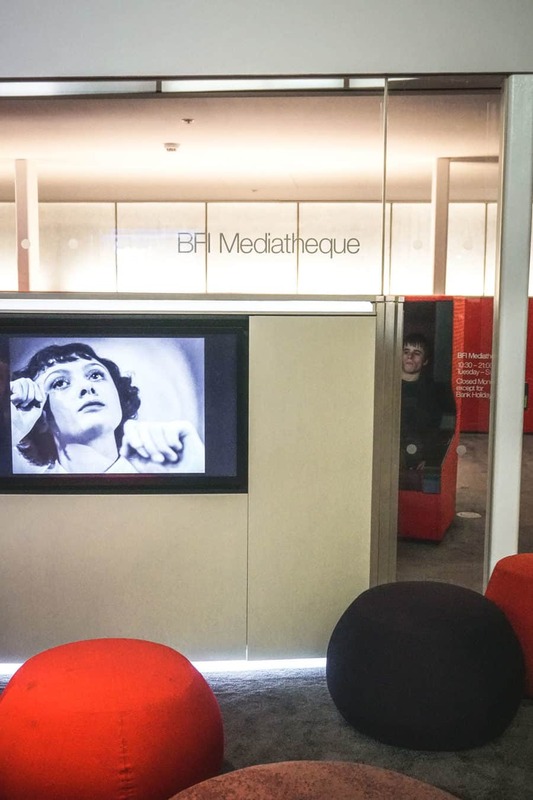 Obviously a walk along the South Bank is free, but you should also pop into the BFI’s cool Mediatheque where you can watch a selection of films and TV programmes from the BFI’s huge archives for free. So far my suggestions for things to do in London at night for free have been pretty standard so it’s time to offer something a bit more leftfield. It’s not just people out and about in London at night – there are also plenty of resident bats flapping around London. Forget the associations with vampires and haunted houses, they are actually super cute and watching them in Hyde Park is one of the more unusual ways for you to spend an evening. Frequent readers will know that I am a full on geek. There’s nothing I love more than taking a jaunt to Iceland to see the Northern Lights or heading to the Atacama Desert to see the Milky Way. But stargazing in London? For over 100 years, the Hampstead Observatory has been offering Londoners and visitors the chance to look up at – and learn about – the night sky. Best of all, it’s totally free to look up from their telescopes and find out more about the galaxy above us. 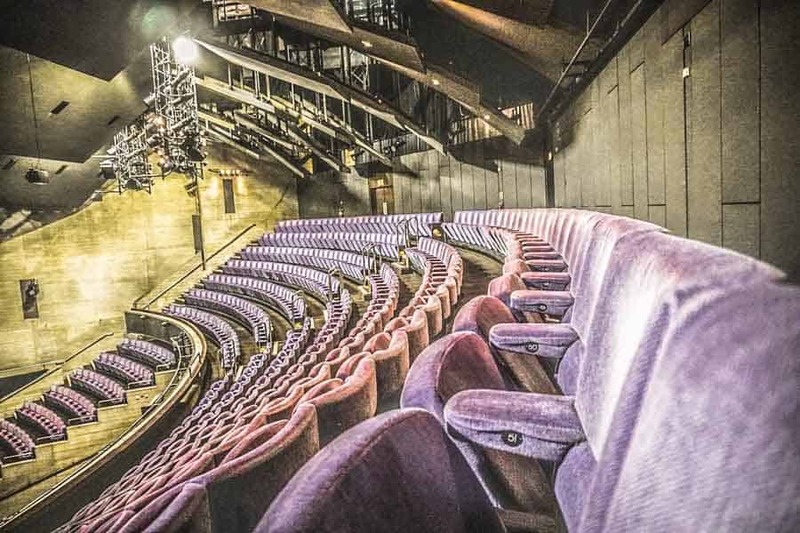 The National Theatre is one of the most famous performing arts venues in the UK – set up to widen access to the theatre by putting on brilliant productions at affordable prices. Most recently The National grabbed press attention when the Duchess of Sussex was appointed the official patron. Catching a show at the theatre is undoubtedly one of the best things to do in London in the evening – and you might even spot a royal enjoying the box seats. Best if you don’t – the plays are great and you don’t want any distractions. Bigger isn’t always better… but when it comes to cinema screens it kind of is. 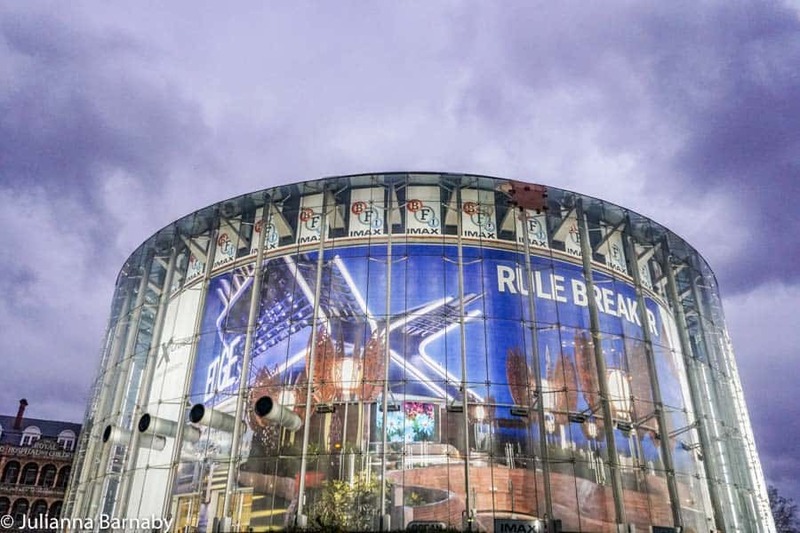 If you’re looking for the ultimate film experience you can’t look past the BFI Imax. It’s the largest cinema screen in the UK, and usually, one of the first theatres to get all the latest blockbuster releases. The Donmar Warehouse is one of the newer London theatres but it has a big reputation for putting on great theatre that makes you laugh, cry and think. Headed up by the talented Josie Rourke, I’ll be bold and say that the Donmar puts on some of the coolest shows in town. 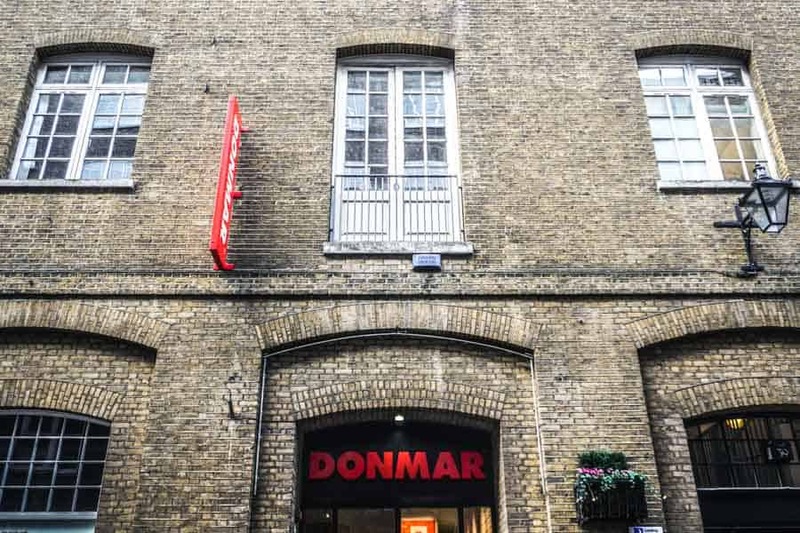 With just 151 seats, the Donmar Warehouse is an intimate space to enjoy theatre in a relaxed and friendly environment. What is the Barbican? Well, it’s a cinema, theatre, concert hall, art gallery, library and restaurant hub among many other things. Let’s go with a venue that’s devoted to teaching and displaying the arts. 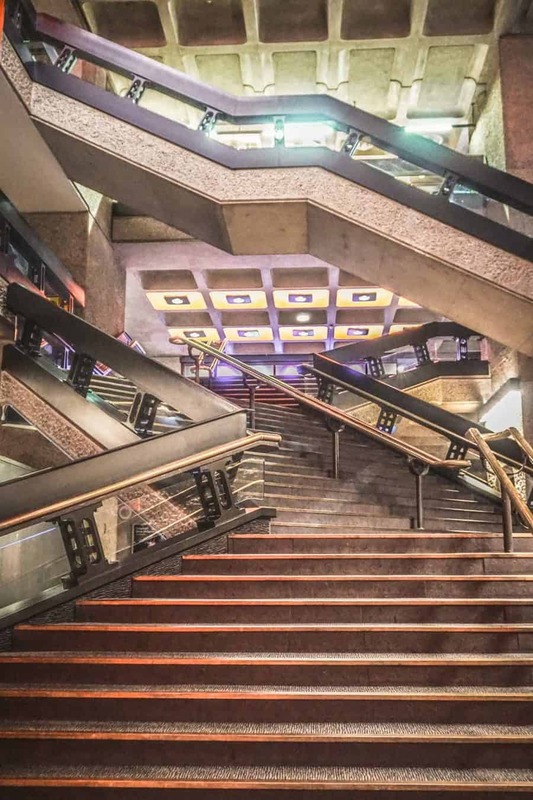 If you’re wondering what to do in London in the evening, The Barbican is a good place to start. It’s no secret that I am low-level obsessed with The Barbican. A monolith of Brutalist architecture in the City of London, it deserves your time and attention. There’s even a giant conservatory (one of the biggest in the country) buried inside. The calendar is always packed full of fun stuff to do, so check it out and make some time to swing by. 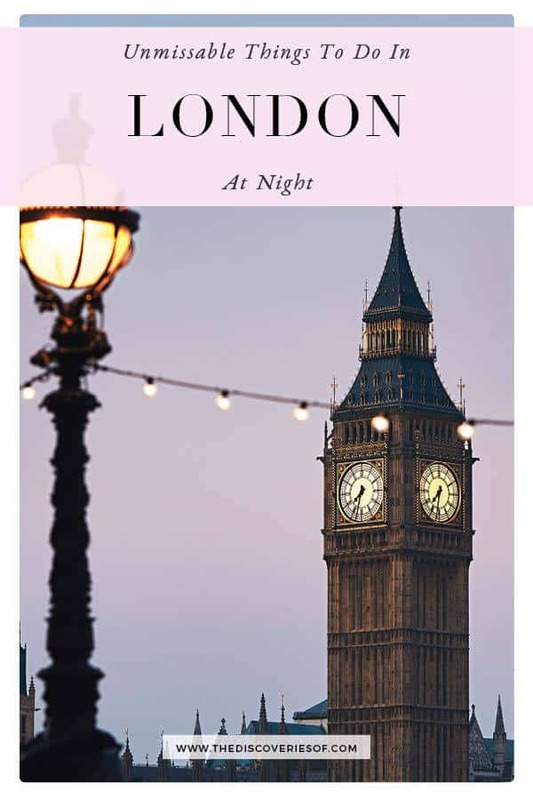 What’s the perfect accompaniment to any night time activity in London? Live music, of course! Luckily, many of the pubs and bars around London have a calendar of live music. Tickets are usually affordable, meaning gigs can be great cheap things to do in London at night. 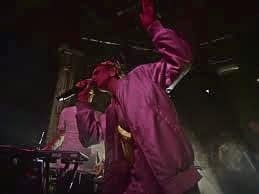 At the more expensive end of the spectrum the O2 Arena in Greenwich, Royal Albert Hall and the Roundhouse put on diverse programmes of some of the world’s leading musicians throughout the year. The British sense of humour is loved worldwide (because we’re pretty damned funny, even if we do say so ourselves) and London is certainly a hub for side-splitting comedy. From tiny comedy bars (where you might be seeing “the next big thing”) to huge theatres like the Apollo, there are plenty of great options. Want to know where to start? Anything Ben Van der Velde touches turns to comedy gold. Going to the movies is fun, but it’s a whole different ball game when you do it in one of the city’s uber-luxe cinemas. Popping into a cinema where I can watch a film snuggled up on a sofa, champagne in the cooler next to me is one of my new-found favourite things to do in London in the evening. Who knew? 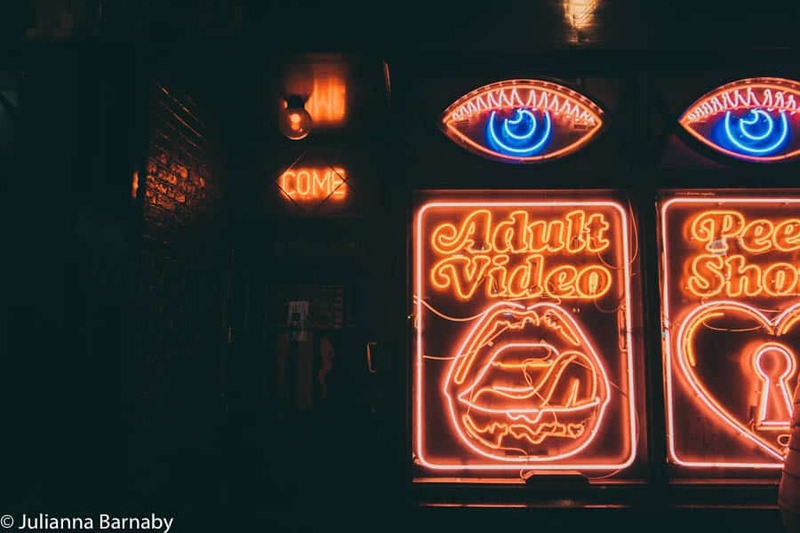 From The Phoenix, a century-old cinema in Finchley, to the rather plush Electric Cinema in Shoreditch and Notting Hill, there are lots of fancy places for you to take your date for a cheeky treat. London might not be known for its year-round warmth, but we do have those glorious months of the year when the sun shines and the rain stops (if only for a few hours). There’s no better way to celebrate summer than catching a movie outdoors. 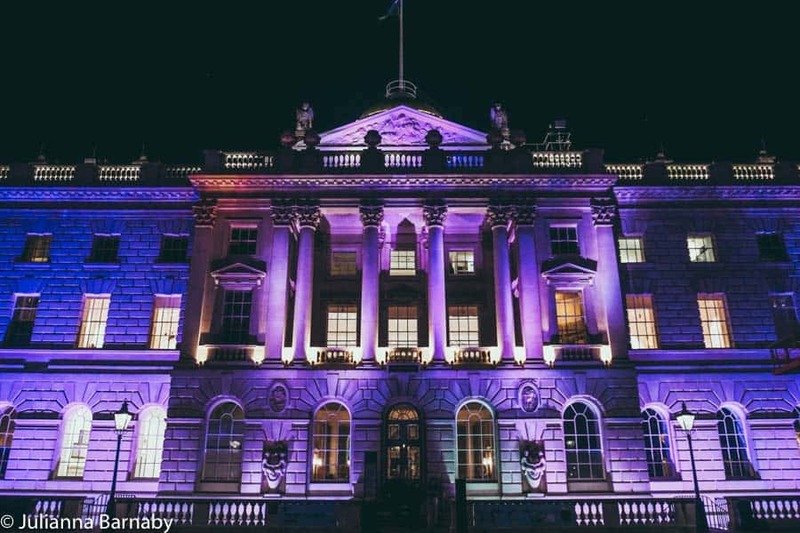 From the latest release to classics, there are many different options available at places like Film Four’s Summer Screen events at Somerset House. I’ll level with you. 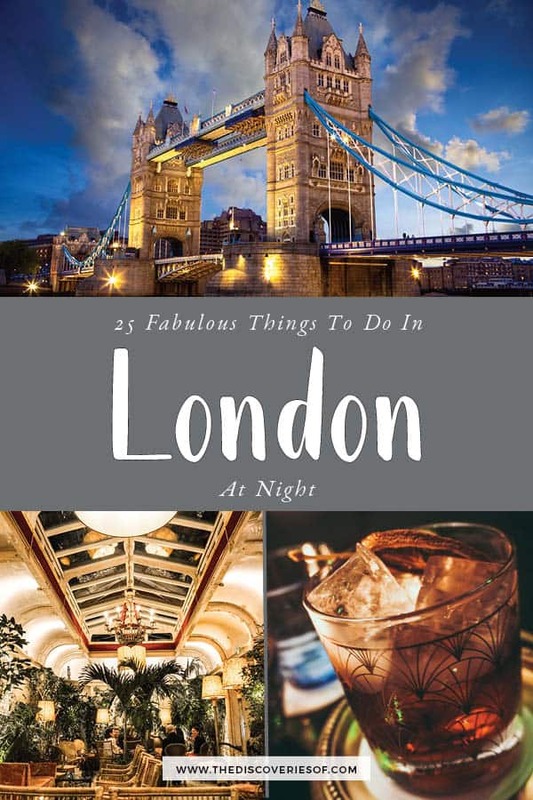 Many London at night activities involve some form of eating or drinking – why wouldn’t you when there are so many great spots for both. London isn’t short on bars serving up delectable cocktails, but Shoreditch punches well above its weight when it comes to cool speakeasies and tasty sips. Unashamedly arty and quirky (OK, sometimes a bit pretentious), its cool vibe translates perfectly into many fab small bars. 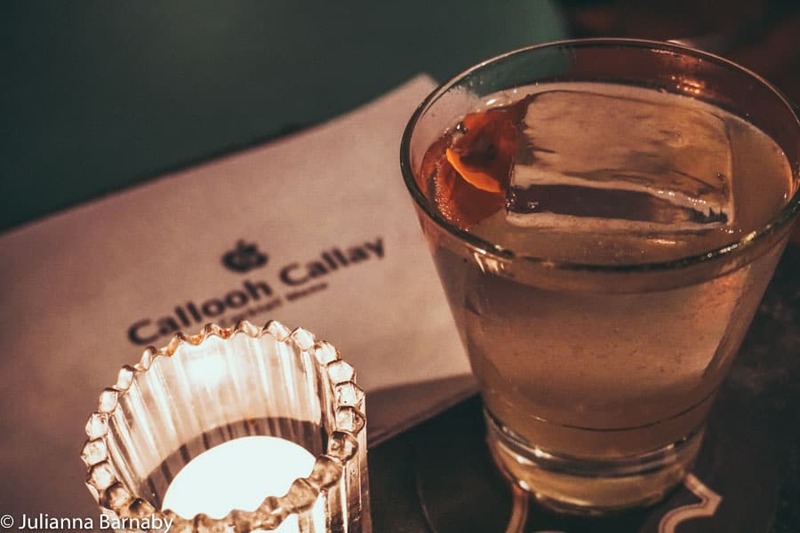 Start with Nightjar and Callooh Callay, before moving onto less well-known gems such as Found. It’s no secret I think that Rules is one of the absolute best spots in Covent Garden – and all of London. Not only is it the oldest restaurant in London (founded in 1798), but the food is to die for. Don’t miss a dinner here if you’re looking for traditional British fare. Even better, head to the stellar cocktail bar upstairs where head bartender Brian Silva will fix you some of the best cocktails in London. Soho has been associated with all thing scandalous and salacious for centuries- think peep shows, working girls and free-flowing liquor. While it’s a little more PG13 nowadays, it still has an unapologetically brash side, making it one of the coolest places to hang out in London – especially after dark. 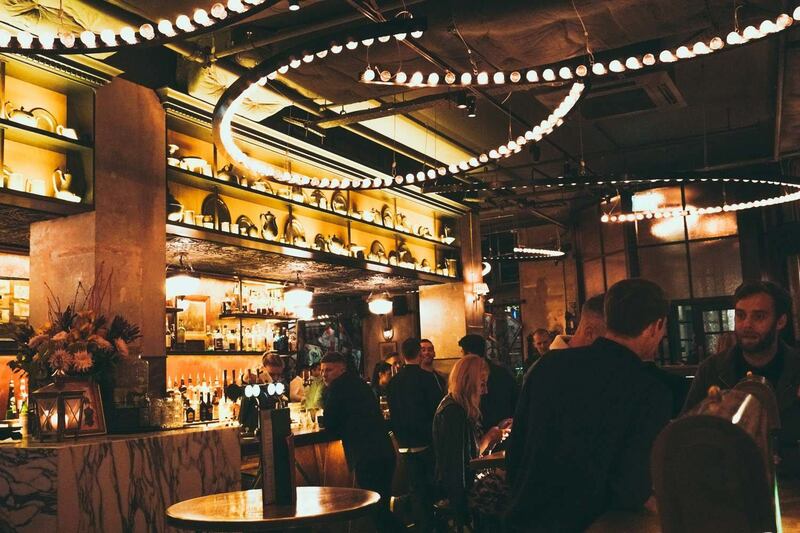 Many of London’s best bars and restaurants are clustered around Soho – including one of my favourites, Disrepute. London is pub central. But there are good pubs and there are BAD pubs. You want to stay as far away from the latter as is humanly possible. London pubs are at their best when you can almost see the history in their slightly discoloured walls and the creaky floors and you can buy a decent drink. 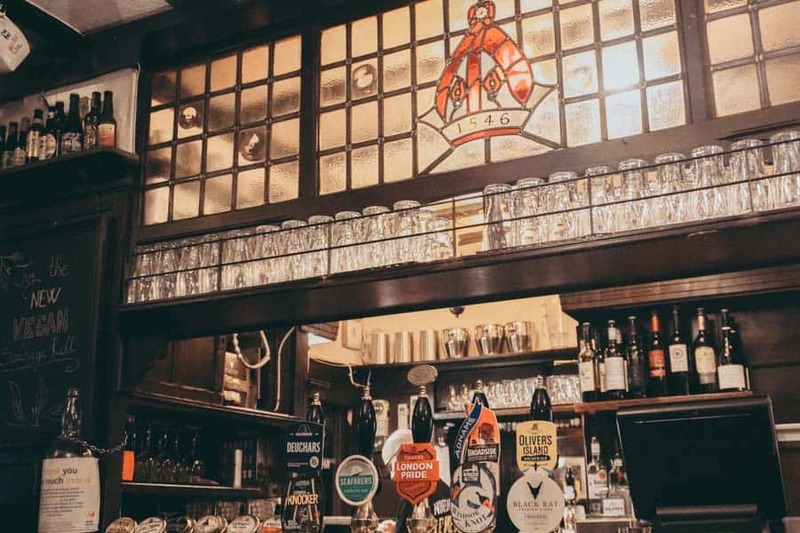 Some of the best of London’s historic pubs can be found in Farringdon. Ye Olde Mitre and stands on the site of an old palace and is a good place to start. That is what Ronnie Scott’s has been offering since 1959, and there’s no sign of them stopping. Some of the best jazz musicians in the world have graced the stage, so you may well be seeing the next big thing in jazz. Looking to dance the night away to some of the world’s best DJs? If so, look no further than the megaclub Fabric in Farringdon. Since opening in 1999, it’s been named in the world’s top ten clubs (according to DJ Magazine), and impressive 18 times. I’ve lost many a night in there raving until the wee hours – and not regretted a single one. Another great option for an extravagant night out in London is XOYO in Shoreditch. Spread out over two levels, it offers an impressive calendar of local and international DJs. Flight Club reckons we never should have taken dartboards out of pubs, and I’m tempted to agree after experiencing their ‘social darts’. It’s all in good fun, even if you miss the board entirely. There are locations in Shoreditch and Bloomsbury. What makes Duck and Waffle so cool? Well, there’s a great British menu, served 40 storeys up with amazing views of London. Then there’s the fact that it literally never closes. Looking for some delicious food and amazing views at 3am? Of course you are – Duck and Waffle has you covered. Click here for a map of the night spots featured in this piece. You’d think with so many theatres crammed into the centre of the city, it would be easy to get your hands on a ticket for performances. Not so. Theatre tickets can sell quickly and often sell out months in advance. If you’re looking for tickets, start with the theatre’s own website. These websites are also useful for buying performances (but you’ll need to look around as no website covers all of London’s theatres). TCKTS London – in person only at their Leicester Square booth. You can check the website to see what’s available though. London is a big city and pretty safe overall – use your common sense when you’re gallivanting around at night as you would in any other destination. I’m not going to give you warning after warning about how to stay safe because I don’t really think they’re helpful or necessary. From a practical perspective, it’s easy to get around London after dark. There are several 24-hour bus routes and the night tube started running a few years ago (praise be). Certain trains also run throughout the night. Check before you head out as getting home on public transport can be a little slower and more complicated after around 11pm. Failing that, there are always black cabs (they are pretty pricey) or Ubers (cheaper but not as nice) to get you home.